High Quality and Affordable Foundation Repair and Basement Waterproofing. Made in USA Parts, Equipment and Sealants. Free Estimates by Certified Inspectors. Every year homes across the great state of Michigan fall victim to foundation problems, water leaks in basements and crawl space moisture. These serious foundation problems always start small, and by the time most homeowners identify them more damage has already been done. Please be aware that delaying your foundation repair and basement waterproofing needs increases repair costs. In addition, this can compromise the structural integrity of your home; which leads to even more expense, depreciation of your real estate and greater inconvenience. At Foundation Solutions 360 we understand every home is unique in the aspect of foundation repair, basement waterproofing, and crawlspace repair. That’s why we offer customized repair solutions that are 100% guaranteed. This along with affordable, reasonable and more-than-fair pricing assures you the best repair at the least possible cost. 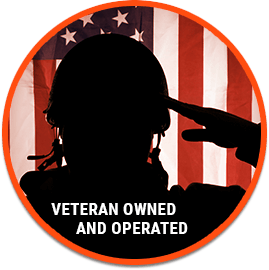 We’re a veteran owned and operated family business built on integrity, honesty and trust. Take advantage of three generations of experience and know-how from a local Michigan foundation repair and basement waterproofing company Michigan homeowners trust. 123 We’re a licenced contractor with the State of Michigan and carry one of the best Liability Insurance Policies. You’re never at risk with us! Foundation Solutions 360 is a Veteran owned business with many employee’s being veterans. Let us help protect you! Each industry product has been individually selected and tested to back the warranties that go with them. We've got you covered! Foundation moisture problems can never come at a good time. That’s why we offer financing options that can help your family fix any problem. We carry the longest and strongest warranties in the industry. Our Warranties are the backbone of our products and service. At Foundation Solutions 360, we believe every home is unique in the aspect of repair and consideration for you and your family. The Foundation Solutions 360 owner (the grandson) has served in the US Military Army reserves for almost 20 years now; while deploying all over the world including Iraq and Afghanistan. When not serving our country, he’s made a career out of helping Michigan home owners just like you enjoy a safe, dry and structurally sound home.